Simmons (a Guitar Center owned brand) has updated its popular entry level electronic drum set (SD5K) with the new Simmons SD5X electronic drum set. This new offering from Simmons appears to be a hybrid of two new Medeli edrum kits. The first being the DD402D edrum kit, which the SD5X gets its cymbal triggers, drum rack, hi-hat control pedal, and the drum module. 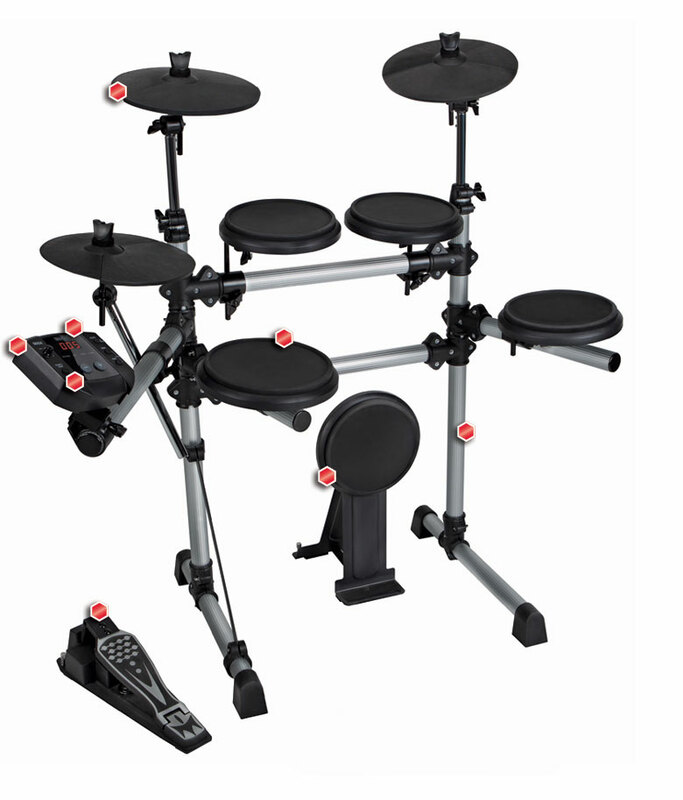 The drum triggers and bass drum kick tower appear to come from the Medeli DD512 electronic drum set. If you are interested in the new Simmons SD5X Electronic Drum Kit, be sure to visit www.simmonsdrums.net for more information.